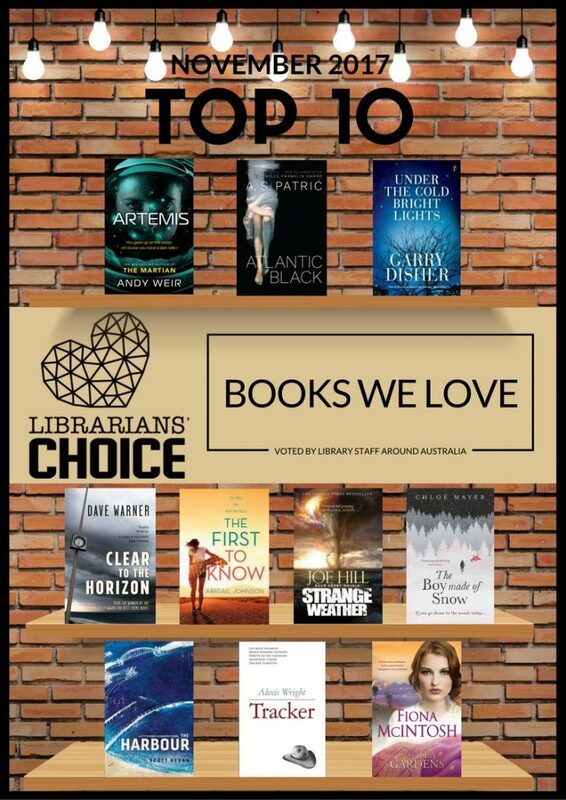 The Top 10 New Reads for November as voted for by Australian Library Staff – why note reserve your copy now? Bestselling author of The Martian returns with a new adventure – a twisty, smart, high concept thriller about a heist set on the moon. Told over one day and night, as World War II looms, Atlantic Black is a psychologically intense and affecting story of unexpected familial betrayal. The young detectives call Alan Auhl a retread, but that doesn’t faze him. He does things his own way – and gets results. A nail-biting Aussie-style thriller, based on one of the great unsolved crimes in Western Australia’s recent history. Its twists and turns will keep you guessing to the end. A girl’s plan to find her father’s birth family turns potentially devastating when the secret DNA test she has done reveals that she has a half-brother her age that she never knew about. Four short novels, ranging from creepy horror to powerful explorations of our modern society, makes compelling and powerful reading. Everyone knows Sydney Harbour. At least, we think we do. Scott Bevan gathers the harbour’s stories, past and present, to create the ultimate story of Sydney Harbour – a city’s heart and a country’s soul. A collective memoir of one of Aboriginal Australia’s most charismatic leaders and an epic portrait of a period in the life of a country. From England’s seaside town of Brighton to India’s slums of Calcutta and the breathtaking Himalayan mountains, this is a wildly exciting novel of heroism, heartache and healing. This entry was posted in Fiction and tagged City of Parramatta Libraries, Librarians Choice Nov 2017 by Parra Reader. Bookmark the permalink.